Your dog has always been beside you through good times and bad. 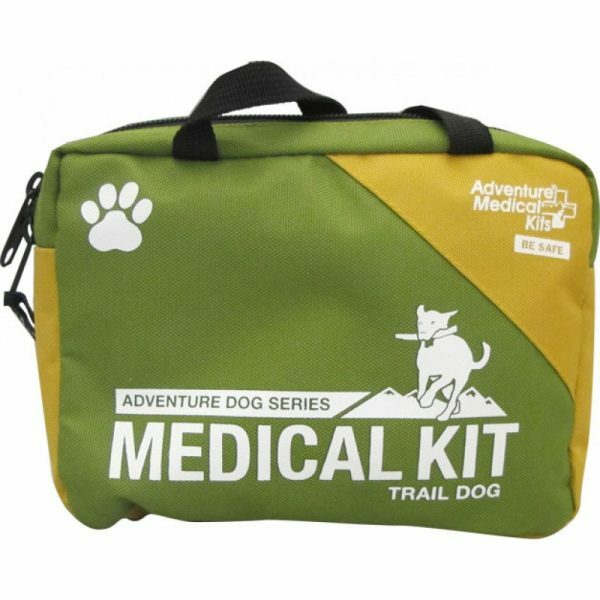 He’s joined you on every camping, hiking and biking adventure. Of course, he’s bound to get a couple scrapes along the way. 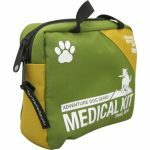 That’s why you should keep a K9 First Aid Kit handy with you next time you adventure with your buddy. Not only will it ease their pain, it will also give you peace of mind. 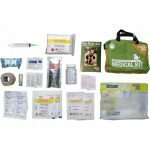 Don’t be fooled by its small size, this K9 first aid kit comes with everything you need to resolve typical dog injuries on the trail. Naturally, it’s mainly focused on their paws. You never know what’s lying on the ground and your dog could easily cut their paws on some glass, step on a nail or splinter and more. With this you can easily sterilize and dress up the wounds immediately when you notice them. The gauze and ointment are even good if you hurt yourself on the trail! Of course, your trusty companion might get into other tricky situations like ingesting an unidentified plant or mushroom. Luckily the kit comes with some hydrogen peroxide so you can immediately induce vomiting just in case. 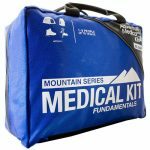 Like with any first aid kit, once you use the items, you need to replace them to keep your stocks replenished. You don’t want to be in a situation where your dog has hurt itself and you don’t have any bandages or alcohol to clean the wound. 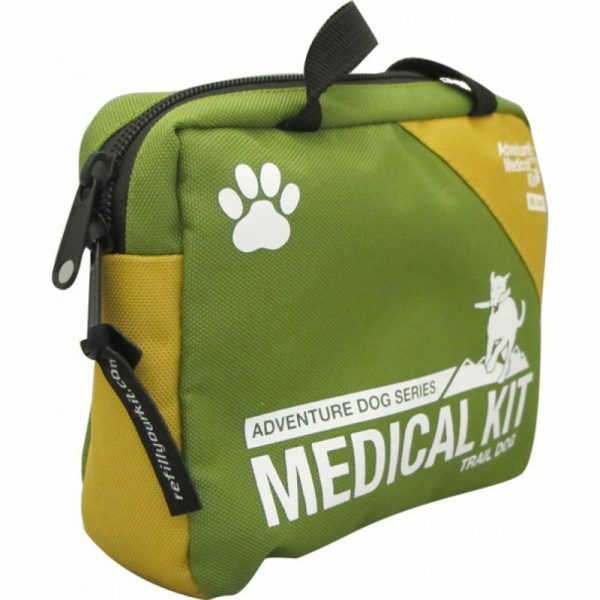 There’s also enough space in the pack that you can include some personal items as well for your dog like medication. 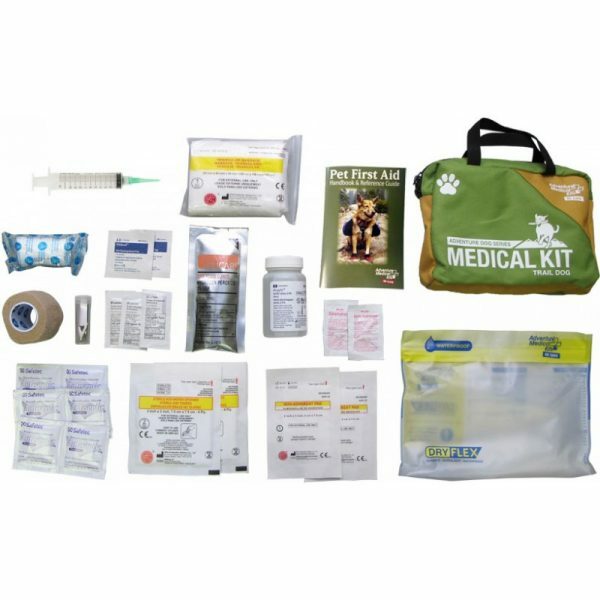 While this K9 first aid kit won’t treat more serious injuries, it can prevent infections. Besides, it’s so small and light you’ll barely notice it the next time you go hiking.